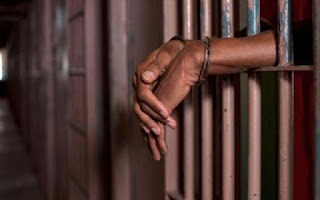 A Kuje Magistrates’ Court, Abuja, on Tuesday sentenced a 24-year-old labourer, Dan-Azumi Amadu, to three months imprisonment for stealing a gate. The judge, Asmau Akanbi, said the court had no option than to sentence the accused since he admitted committing the offence. Akanbi said that the sentence would serve as deterrent to those with similar intention, adding that cases of theft were becoming rampant in the area. Earlier, the prosecutor, Sgt. Orgens Oliver, told the court that the incident was reported by the complainant, Sardauna Aliyu of Sundaba area, at Kuje Police Station on May 5. Oliver said on the same date the case was filed, the accused came to the complainant’s building site and stole a gate. He added that the convict was later arrested at Tipper Garage while trying to sell the gate and the gate recovered.